This Just in: PARTS SUCH AS THESE! The final part of FQ19 has just dropped into place. PARTS SUCH AS THESE is by Ruuan Stuart and the enigmatic ‘Crow’. FutureQuake 19 is going to be on sale from November 1st. Last seen in FutureQuake 13, Neroy Sphinx makes his long awaited return in FQ19. Writer Dan Whiston and new artist Dave Thomson bring us the penultimate chapter in the story that began all the way back in FutureQuake 04, back in 2005. Coming imminently to Something Wicked 07, Fiends of the Eastern Veldt by the Emperor and Adam Bolton. 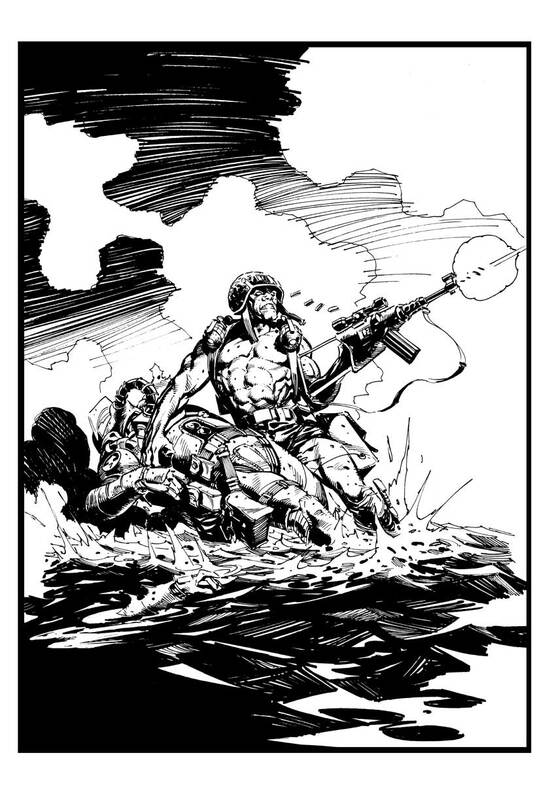 Yup- That’s STAZ JOHNSON drawing Rogue Trooper for Zarjaz. Awesome, isn’t it? Zarjaz 13 will be on sale after November 1st, and the cover will also be available as part of the Wallpapers section of the blog. Staz was asked a while ago to provide the cover for Zarjaz, and he was only too pleased to take part, except that he didn’t like my original choice of cover strip. 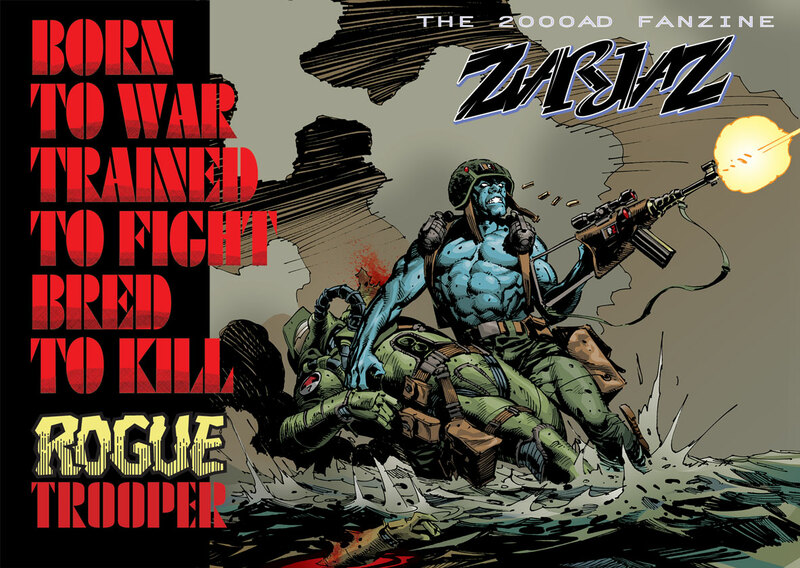 After a very brief moment to think it was decided that Rogue Trooper would be the perfect candidate to let Staz flex his considerable artistic muscles! Here is the line work for the cover Staz kindly supplied. As the more eagle-eyed among you will have noticed, Staz based his work on a classic cover by Frank Frazetta; however, he also missed out on the wraparound aspect of the Zarjaz covers. That is why the cover for the issue is cropped as it is. 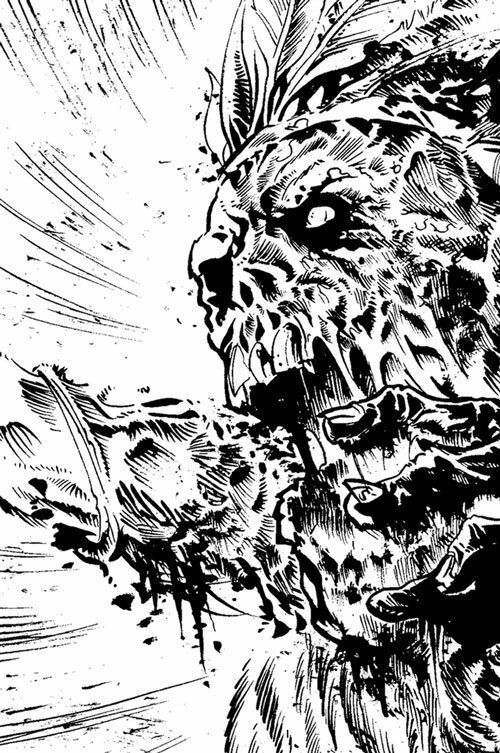 A huge thanks once again to Staz for providing us with one of the strongest Zarjaz images we’ve had. This is a special issue of Something Wicked, as not only does Adam Bolton open the issue, with art on both the cover and lead strip; he also gets to close the issue with the final strip which finishes on the back cover! A first for us, but as I’m sure you will agree- well worth it. 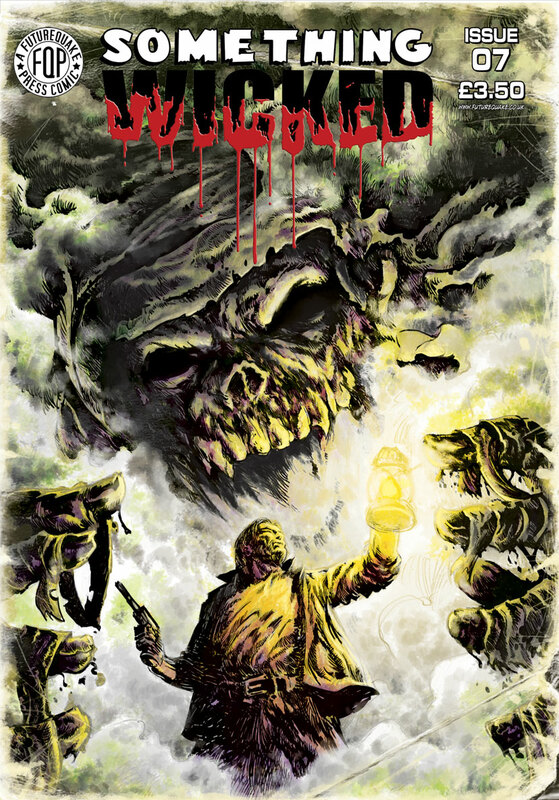 Something Wicked 07 is available from the 1st November. 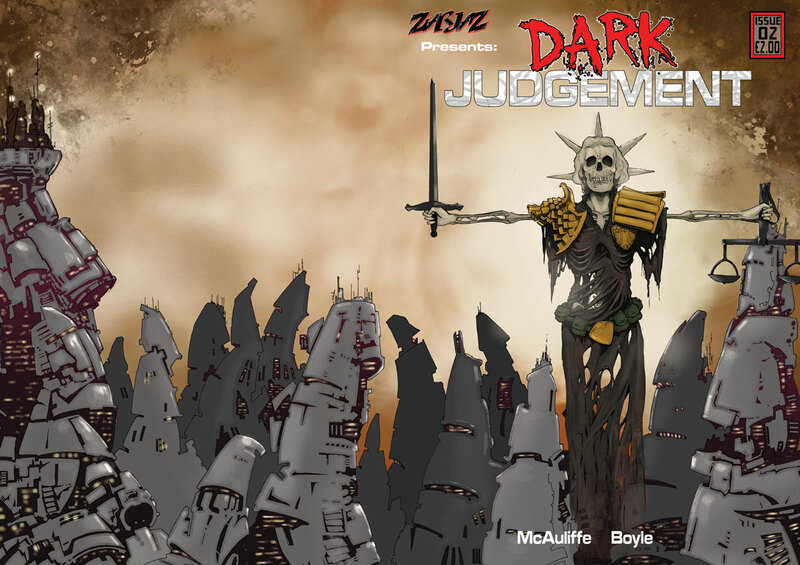 I know Rich over at Everything Comes Back to 2000AD has already put this out there, but here is the final crop of the print version for Dark Judgement 2 by Conor Boyle. The cover will also be available in the Wallpapers section of the blog later this week. This years special will be on sale from November 1st, and to celebrate we’ve arranged for a limited run of Dark Judgement 1 to be available. 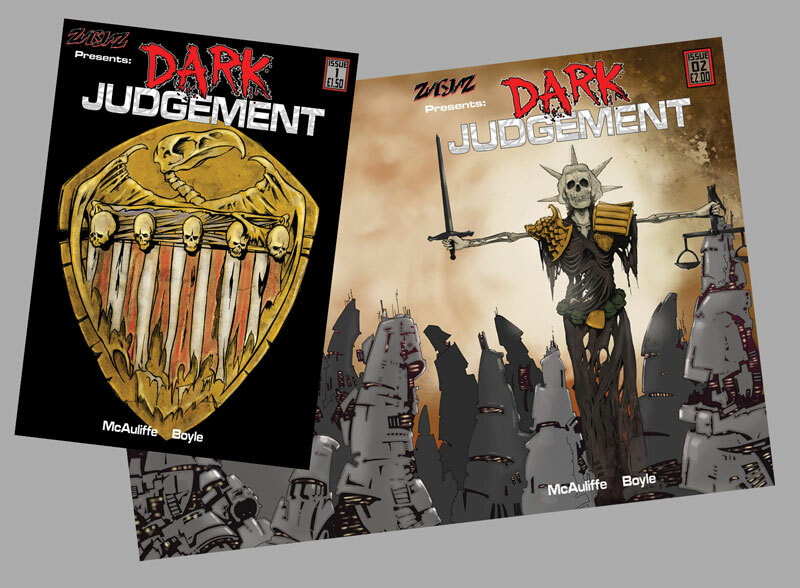 For a limited time only- there will be a special 2 pack in the webshop featuring both issues of Dark Judgement for £3.50 plus postage. There will also be copies on sale at conventions for as long as they last. 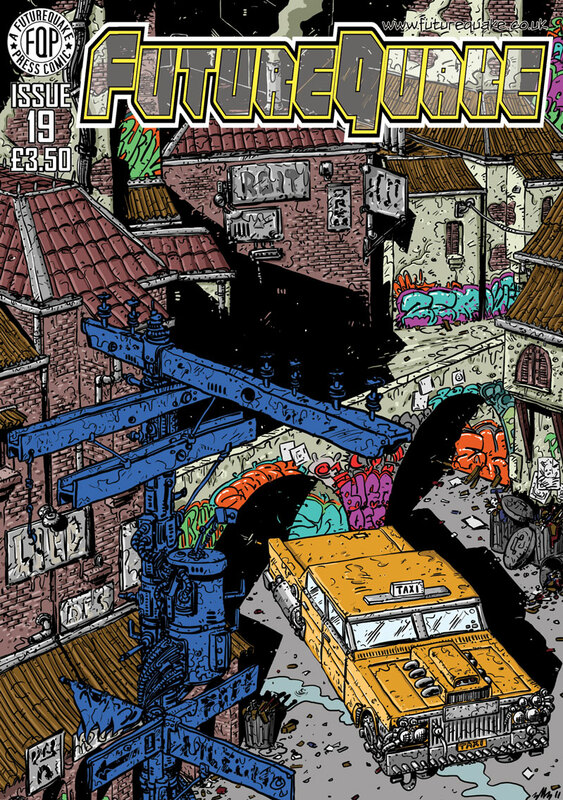 Here is the cover to FutureQuake 19, by Ben Michael Byrne. The issue will be available from November 1st, and as ever- click on the image for a larger version.